In any case you’ll hear back from us within 2 hours. We offer special rates for children 4-12 years old and there is no charge for infants up to 4 years old. Our Booking Platform applies such discounts automatically. Our email voucher is only an exchange order of your tour. You can have a receipt upon service. Do you offer any organized excursions on the islands? Yes, various organized excursions for Hydra Island and Aegina Island can be purchased on board of the cruise ship at extra charge. Are you able to arrange celebrations, birthdays etc. on board? Yes, we are able to arrange upon request special celebrations, birthdays, etc. in on-board public or private spaces. Why haven’t I received a reply to my emails to you? Some email Internet providers can mark general emails such as those sent from us as “spam.” Please check your spam folder for previous email replies. If you have your spam filter set on the highest ranking, only emails from senders in your address box will go into your inbox. Any other emails (such as replies from Internet sites you have booked on) will go into a “spam” folder. These emails can sit in this folder for up to 7 days, and then your email system will automatically delete them. If you can’t locate our emails in your spam folder, please inform us. For cancellations more than 20 Days Prior to departure date of the cruise/service booked, 100% of the paid amount will be refunded. For cancellations 19 to 4 Days Prior to departure date of the cruise/service booked, 50% of total booking value will be refunded. For cancellations up to 3 Days Prior to departure date of the cruise/service booked, there will be no refund. For Non Show at the departure date and time of the cruise/service booked, there will be no refund. Alteration of departure date within 48 Hours Prior to original departure date of the One Day Cruise a Service Fee of 30.00 Euro Per Person will apply. “Unique Destination L.t.d.” can cancel The 1 Day Cruise to 3 Islands at any time under the condition that fares paid will be returned to passengers that have paid said fares. In such a case, every effort will be made to assist the passenger with alternative arrangements. Due to Extreme Weather Conditions some days may not possible to visit 1 of the islands in this case there is no refund. Can I book One Day Cruise directly at your office? Yes, you are always welcome to pass by our central office. We operate 7/365, from 06:30 a.m. till 10:00 p.m.
I’m not staying in a hotel. I’m staying in a private residence; do you offer pick up service? You will need to provide us with the private residence address and we will suggest you the nearest and most convenient pick up point with instructions for how to reach it. It is also possible to arrange private pick up transfers from your Address at extra cost. I have left something on the vehicle / cruise. How do I get it back? Please contact us as soon as possible at +30 210 45 11 666. We will then endeavor to have the items returned to you. A charge may be applicable (if we taxi services are used). I stay in the apartment, not a hotel. Can you pick me up? Kindly note that we do not pick up from apartments. However, you will be offered you an alternative pick up point from one of the hotels nearby for free. In case you’d like to be picked up from your address directly please note that Private Transfers can be arranged for an extra charge. I have a mobility difficulty. Can I still participate in the tours? Kindly note that 1 Day Cruise Ship is accessible and adjustable to people with mobility difficulties. When making a booking please specify your request in the booking form. Is there any food on the cruiseship? Kindly note that there is Free Lunch Buffet on Board included in the price of the cruise. Kindly note that breakfast can be included for extra charge only. I am vegetarian. What are the food choices? Kindly note that there is Lunch Buffet on the cruiseship with lots of vegetarian choices. I would like to stay overnight at one of the islands we visit on the 1 Day Cruise. Can you book a hotel for me? Kindly note that we do not arrange any hotels bookings on Hydra/Poros/Aegina Islands, and overnight stopover is not available. I would like to stay overnight at one of the islands we visit on the 1 Day Cruise. What is the arrangement in this case? Kindly note that this service is not available. We value each customers needs but since there is a chance that the route of the Cruise Ship might change on the second day we do not want to risk any chance of dissapointment. Therefore, overnight stopover is not available. 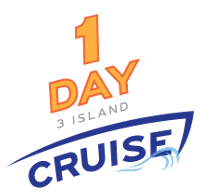 Which is the order we visit the islands on the 1 Day Cruise in? Kindly note that the usual route is Hydra-Poros-Aegina Island.